It’s time for another MONDAY MORNING QUARTERBACK and today we’re heading back to sunny San Diego, California. Being that I live in close proximity to SD, I have access to numerous beers from various local breweries. So for today’s review I decided to go with a beer I’ve never had from a brewery I’ve never tried before. 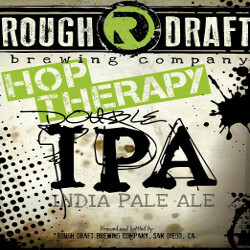 HOP THERAPY is a Double IPA from San Diego’s Rough Draft Brewing Company. 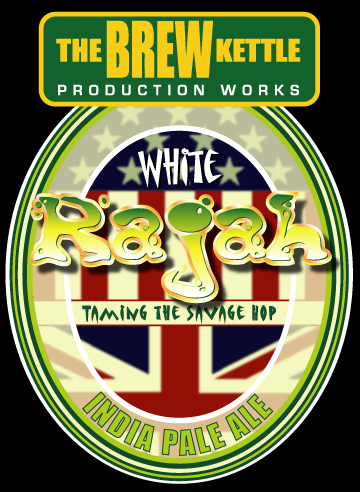 This summer release has 94 IBUs and a hefty 9% ABV. Week 4 of MONDAY MORNING QUARTERBACK takes us to New Orleans, Louisiana. When it came time for me to choose a beer to review I wasn’t given many options for Louisiana craft brew output. So when I went to the beer store to find something I decided to go with the Pecan Harvest Ale since we had just (re)brewed a pecan brown ale ourselves and I figured it be nice to have something to compare ours to when it is ready to drink in a few weeks. Regardless of why I chose it, let’s get on to the review. 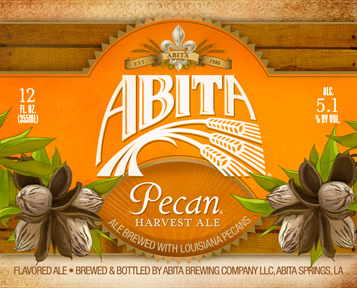 PECAN HARVEST ALE is an American Brown Ale with a drinkable 5.1% ABV and mild 20 IBUs. Week 2 of MONDAY MORNING QUARTERBACK is upon us. I couldn’t find a beer from the host team’s home city (Cincinnati), but I did find one from the great state of Ohio. The Brew Kettle is a brewery out of Cleveland, Ohio that is starting to make some noise in the beer world. I’ve been hearing the rumble, but I haven’t been back to Ohio in that time to try their stuff firsthand. Thankfully I have a friend back in the Midwest who I trade beer with and he is a fan of their stuff. Cut to: I now have a bottle of their “world-class” IPA to review for your and my pleasure. My second MONDAY MORNING QUARTERBACK beer is from San Diego, California for tonight’s late game. I had originally purchased this beer for a day long movie marathon my coworkers and I routinely do. When I went to look through my stock for a San Diego beer I found this was hiding in the back and it sounded like a great football beer. 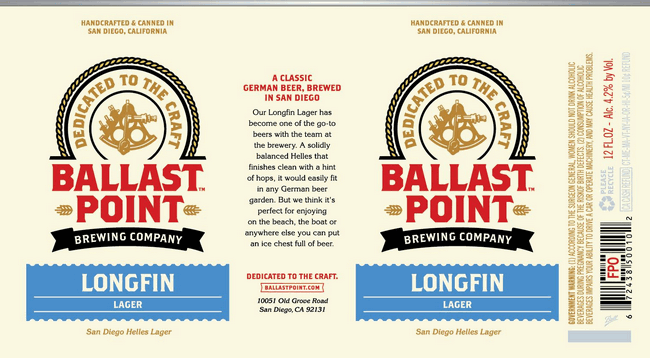 LONGFIN LAGER is a Munich Helles Lager with an easy drinking 4.6% ABV. My MONDAY MORNING QUARTERBACK begins with the a beer from Flying Dog Ales out of Frederick, Maryland. Being that I’m on the west coast it’s kinda hard for me to get beers from the Washington D.C. area. So, I made a compromise and found a beer from the general region. Let me begin this review by saying that a few years back I found out the hard way that I was allergic to shrimp. And by the hard way I mean while out to dinner with my friend and her parents (who I was meeting for the first time) I learned that I enjoyed the taste of shrimp and that I was allergic to it. At first I had no idea why my tongue was all scratchy and I was having a hard time swallowing, but once I overheard a nearby diner talking about his shrimp allergy it all clicked for me. Cut to today when I decide to try my first Oyster Stout. It seems to me that this is a great way to find out if I’m allergic to all shellfish or just shrimp. PEARL NECKLACE is an Oyster Stout with 35 IBUs and a 5.5% ABV. Football season may very well be my favorite time of the year. Add in the fact that this is the time of year of falling leaves and pumpkin spice lattes, and I’m in heaven. Starting tomorrow (9/9/13) I’ll be posting a beer review every Monday from a brewery located in the home town/state of the team hosting the day’s professional football match. I’m calling these seasonal reviews MONDAY MORNING QUARTERBACK. Tomorrow, in honor of the two Monday night games I’ll be posting two reviews. So check back in tomorrow, plus every Monday after that, for a new geographically influenced beer review!